Born out of a partnership between Kuumba Youth Music, Royal Academy of Music and Tomorrow’s Warriors, The Advance Network is committed to changing the classical and jazz musical landscape for black, Asian and minority ethnic musicians. They are hosting a three-part networking forum entitled ‘Access All Areas’. The panel will be chaired by Hilary Carty and will include Beverly Mason, Hassan Mahamdallie, James Thomas, Candace Allen, James Douglas and Janine Irons. This will be followed by two further events: Unlocking the Door at the Royal Academy of Music in January 2013 and Pushing the Boundaries at Southbank Centre in April or May 2013. 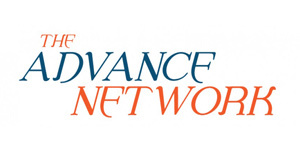 The Advance Network is funded by Youth Music, the leading UK charity for young people and music.